Turned legs offer a classic design element to this home office desk. It features two built-in electrical outlets and USB charging ports, a drop-down keyboard tray/drawer and an additional small drawer. 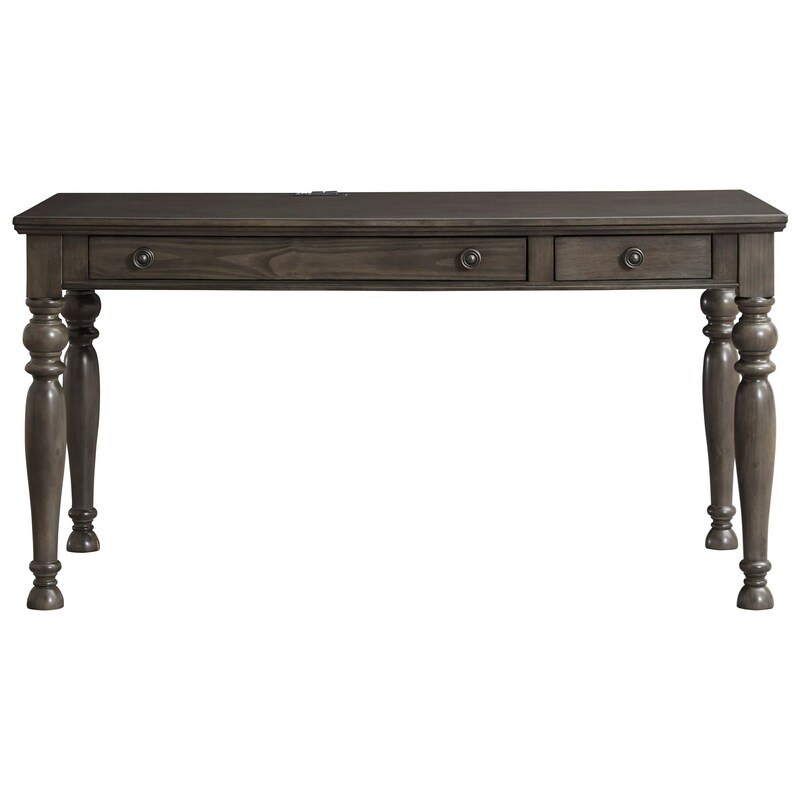 An antique gray finish over birch veneers will make this desk a stylish addition to your work space. The Devensted Home Office Desk with Built-in Outlets and USB Ports by Signature Design by Ashley at Sam Levitz Furniture in the Tucson, Oro Valley, Marana, Vail, and Green Valley, AZ area. Product availability may vary. Contact us for the most current availability on this product. The Devensted collection is a great option if you are looking for Transitional furniture in the Tucson, Oro Valley, Marana, Vail, and Green Valley, AZ area. Browse other items in the Devensted collection from Sam Levitz Furniture in the Tucson, Oro Valley, Marana, Vail, and Green Valley, AZ area.